It seems that Liverpool are already considering alternatives for Naby Keita this summer in Jurgen Klopp’s pursuit of central midfield enforcements. We’ve received no sign that the Guinean wants to come yet, or that Red Bull Leipzig will sell the 22-year-old, who came runner-up to Robert Lewandowski for the Bundesliga Player of the year award. 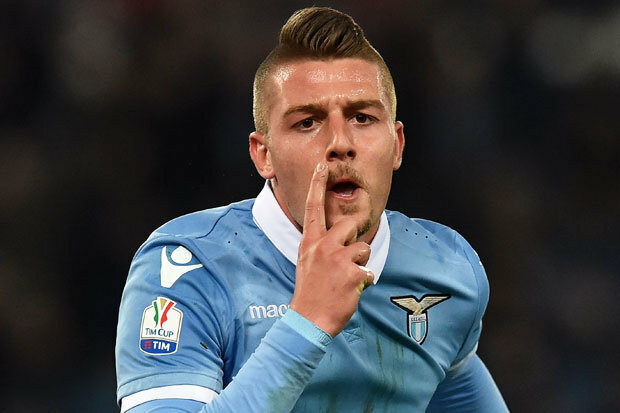 Instead, Liverpool are considering Lazio’s 22-year-old Sergej Milinkovic-Savic – and according to Italian outlet Calciomercato – we’ve had an initial €28m bid rejected. According to their report, Lazio president Claudio Lotito wants a barbaric €70m for the Serb, which highlights the ridiculous nature of the transfer market right now and how foreign clubs think English ones will pay through the roof. Milinovic-Savic doesn’t even have a cap for his country yet, and if anything, our original €28m offer seems steep in itself. Regardless of the player’s talent and physicality (he’s nearly 6 ft. 4′ and registered seven goals last term), we should leave this one alone if Lazio think we can be held to ransom. There’s surely better players available for more reasonable sums.